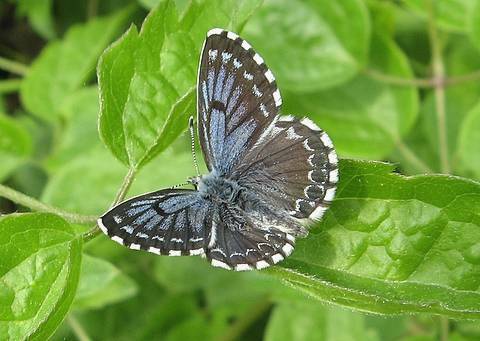 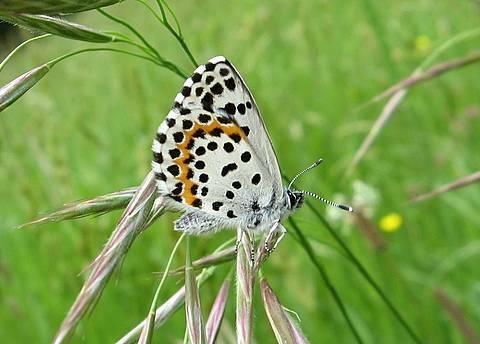 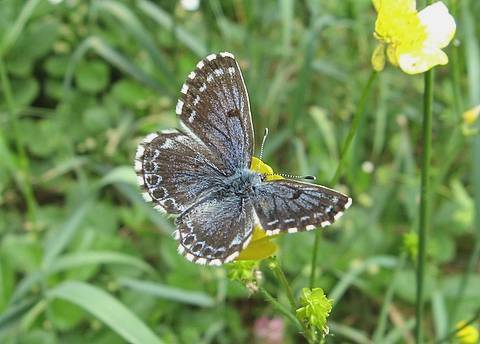 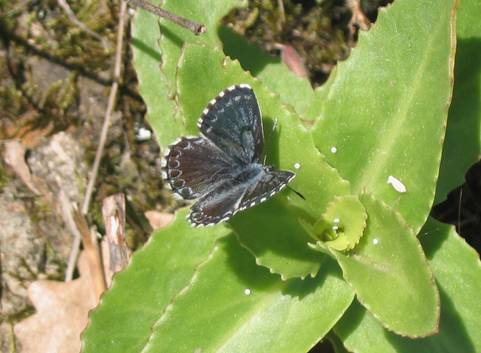 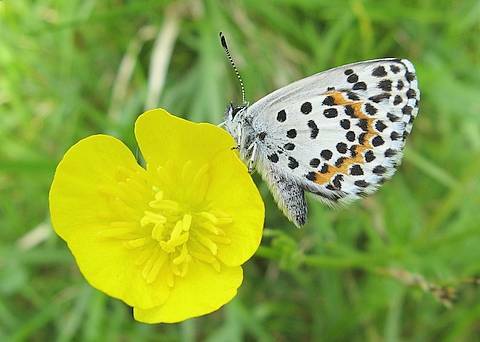 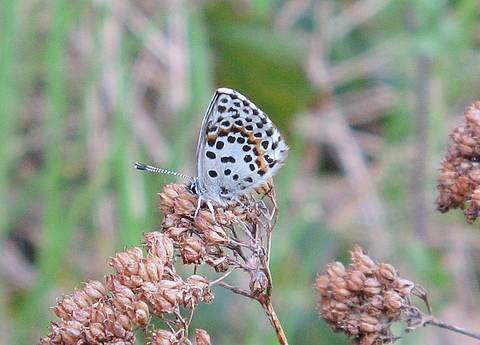 Chequered Blue is a very local species and in France flies only in the south and parts of the Massif central. 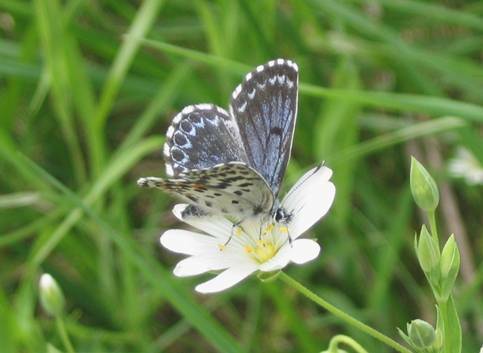 It is quite easy to identify from both surfaces. 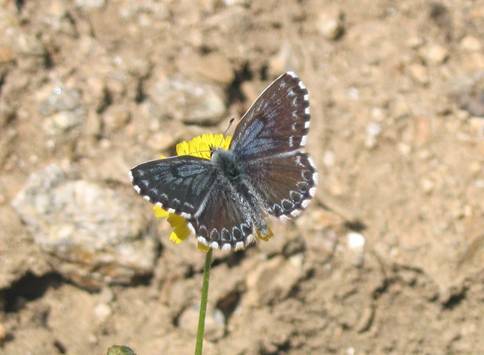 The upperside is rather blackened with some blue scales showing through and strongly chequered fringes. 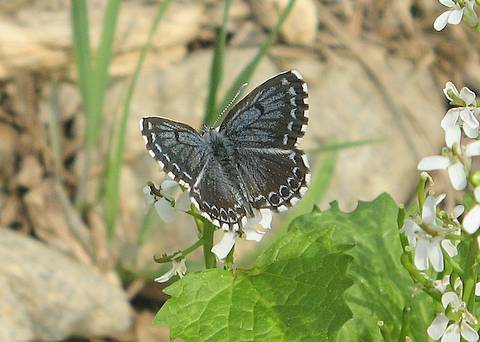 The underside is white with strong black spotting and a continuous orange band on the hindwing. 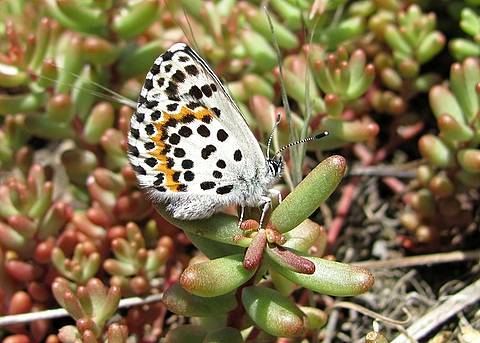 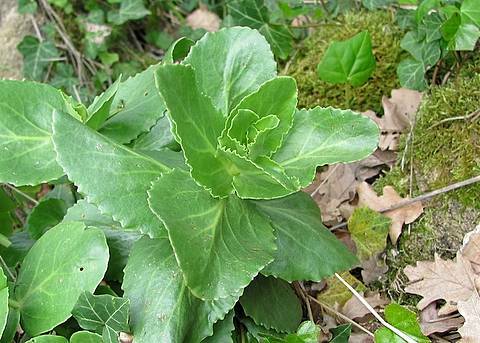 In my local area it usually flies on south facing, dry, rocky paths and slopes, never far from its food plant Sedum telephium. 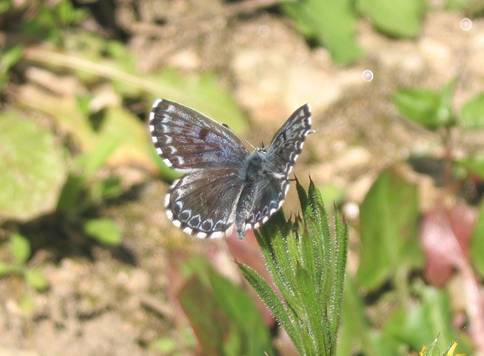 It is early on the wing appearing in April and the single generation keeps going well into June. 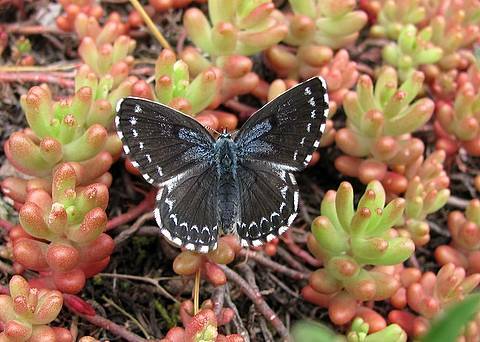 Females also show interest in Sedum album.